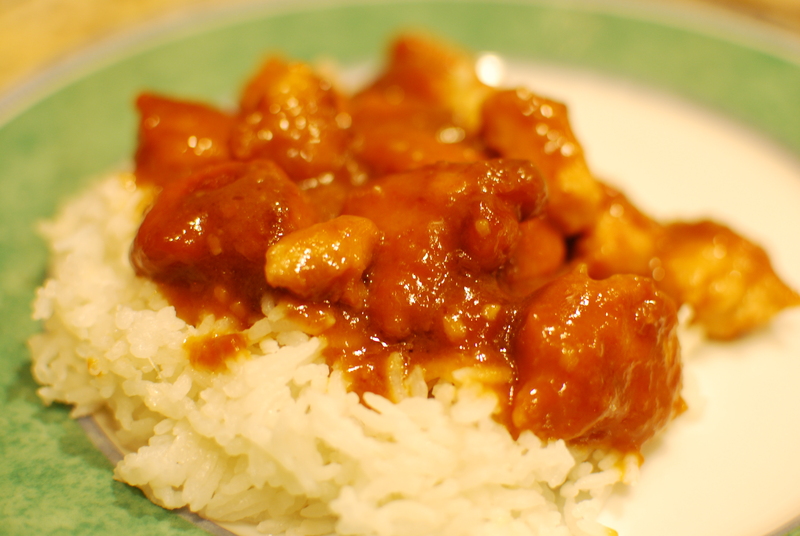 This Crockpot orange chicken recipe is so tasty. I think when cooking chicken in the Crockpot it tastes better to first coat the chicken in flour and brown it in a skillet before adding to the Crockpot. The texture of the chicken is better, and the flour acts as a thickening agent for the sauce. A definite kid approved meal. In a bowl, mix the orange juice through ginger. Set aside. Pour the flour in a small bowl. Cover the chicken breast chunks in flour and shake off the excess. Over medium heat, warm up the olive oil in a skillet. Brown the flour covered chicken. Place the chicken into the Crockpot and pour sauce mixture on top. Stir to coat evenly.